SCI needs your support for Summer Concerts at Horn Pond! 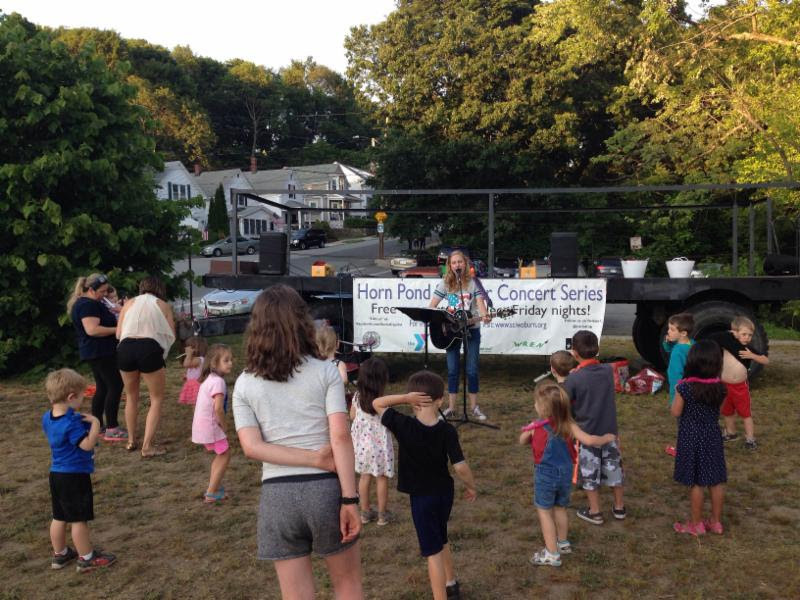 Horn Pond Summer Concert Series. Now is your chance to show how valuable this programming is to you! The concert scheduled for next Friday, July 15th featuring Los Sugar Kings, an excellent Latin/Reggae band, does not have a community business sponsor. It is up to the amazing community of Woburn to make this concert happen by coming together to crowdfund the event. If you value these free concerts and want them to continue in the future, it is important that you show us that they have worth to you! Please donate today to support this long-standing community tradition. Please help SCI raise the $950 it takes to cover the cost of the band and other expenses it takes to put on the concert. Without a strong community response, they will likely have to cut back on the number of concerts offered next year. Remembering Joseph R. Tarby, Jr.